I'm not quite sure how it happens to be August, but somehow the end of the summer snuck up on me and now we're thinking about back to school. I have a guilty confession to make - I LOVE school supplies! 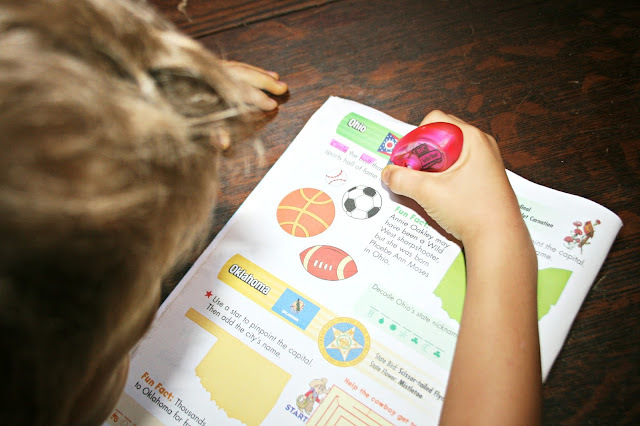 When BIC contacted me about their Back to School Must Haves line, I was so eager to try them out with Pierce during our summer school work. 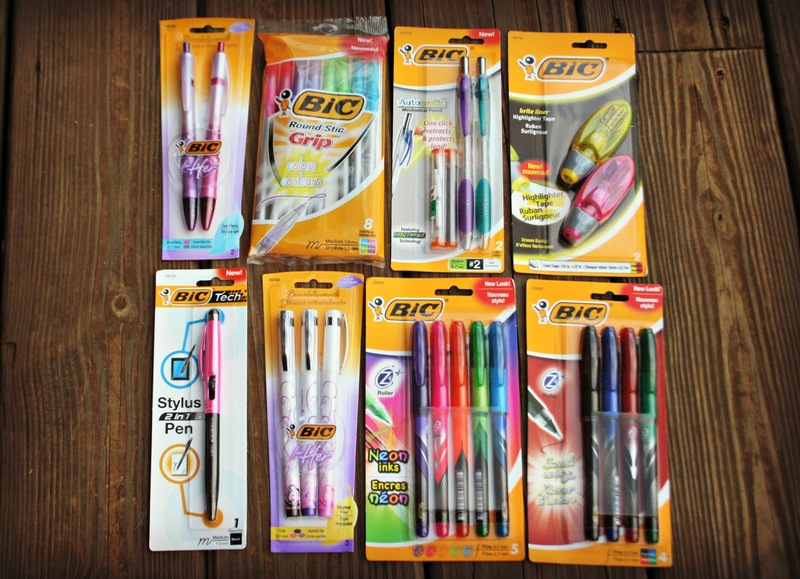 They sent us a fantastic package which included BIC Tech 2 in 1 Stylus and Pen, BIC automatic mechanical pencil, BIC for her gel and marker pens, BIC bright liner highlighter tape, BIC round stic grip, and BIC Z4+ roller in classic and fashion colors. I loved all the vibrant colors in the pens, and they write so smoothly. Pierce tried out the mechanical pencil and declared it the best pencil he had ever used. He particularly liked the twisty eraser. 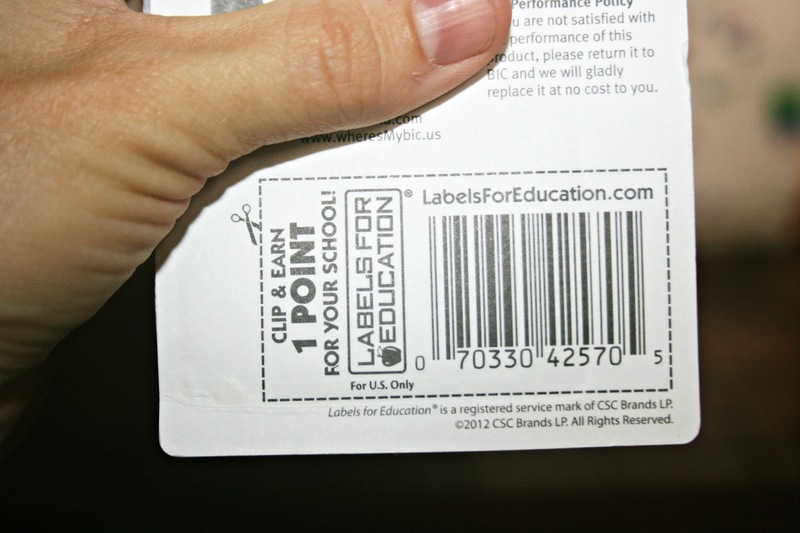 One thing that impressed me about the BIC line was that all the products had a Labels for Education point on the back. I save these for the boys' schools. Pierce tried out the highlighting tape in his state capitals workbook. I liked that he had no difficulty using it to highlight various words in the book, even though he doesn't have the best hand dexterity at this point. Pierce and I will continue to have fun using all of these new, colorful BIC products. Learning is so much easier when you can do it with great school supplies and a variety of colors. One lucky reader will win their own set of Back to School Must Haves from BIC! Just click on the Rafflecopter giveaway below to enter. Disclaimer: I received the above pictured products for review purposes. The opinions stated above are my own. oooooh, I want that highlighter tape! Bic has some neat stuff for kids, I can remember when they just had a couple types of ink pens so it looks like they have gone all out with the new supplies. My wife is getting ready to head over to Windy Gap so tell Pierce that his teachers are back in school today getting things ready for him. These look like so much fun to write. Oooohh! Look at the new products. First, they look like things I'd like to play with - Second - they also look like terrific prizes for students . . . incentives??? I'm all in. Look at his long eye lashes. So beautiful. Andy could use these. Back to school. Oh my. Where has our summer gone? Way to go Bic! they are always coming up with NEW Cool products. I love to have the boys try out Aquacouleurs! Crazy I bought a lot on clearance last year. Well then this year they got super specific with the lists. Like red, yellow, blue folders for this class. So all the fun character ones had to be set aside. :( I had to go buy a mess of more things. 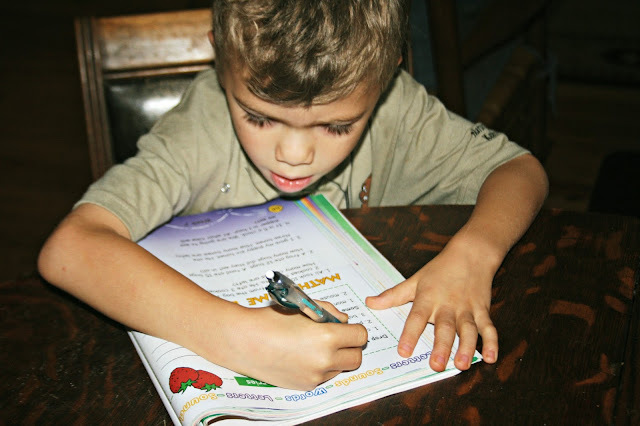 I always loved new school supplies and these days there are so many new and exciting things for children. The VISAQUARELLE pens sound awesome. What fun! I LOVED buying school supplies, even going into the store and smelling them!! To this day I still love browsing the Staples and Target shelves. And DARN, I went to Target yesterday and SCHOOL SUPPLIES were OUT!! Then I went to the grocery store and CANDY CORN was out!!! I cannot believe the speed of this year! I love school supplies as well! Even though I haven't been in school in years haha. Mechanical pencils are my favorite :) Thanks for the giveaway! I shall check out the BIC section of my favourite paper supplies store, I wonder if we will have all of these products. Cool idea BIC has to have you trial run new items. I like the Body Action™ Ballpoint Pens! I know! Summer is flying by. Hunter starts back 2 weeks from today, and I feel like I've hardly spent any time with her. This is a fabulous Giveaway that I could win for my grandkidlettes! Yay! I think the mechanical pencils have always been my favorite as a math teacher! Thanks! the SELECT® TURN & UP FASHION FOUNTAIN PEN looks awesome! I LOVE school supplies too and these would be great for my para job at school! Thanks Lisa...and Bic! The Glitter Glue pens would be great for school projects and home crafts!! ReAction Pencil. actually like all their writing implements. I like the highlighted tape. I love the bright pens too! My kids make off with them every chance they get. I think the kids would like the gel pens and the dry erase board and markers.